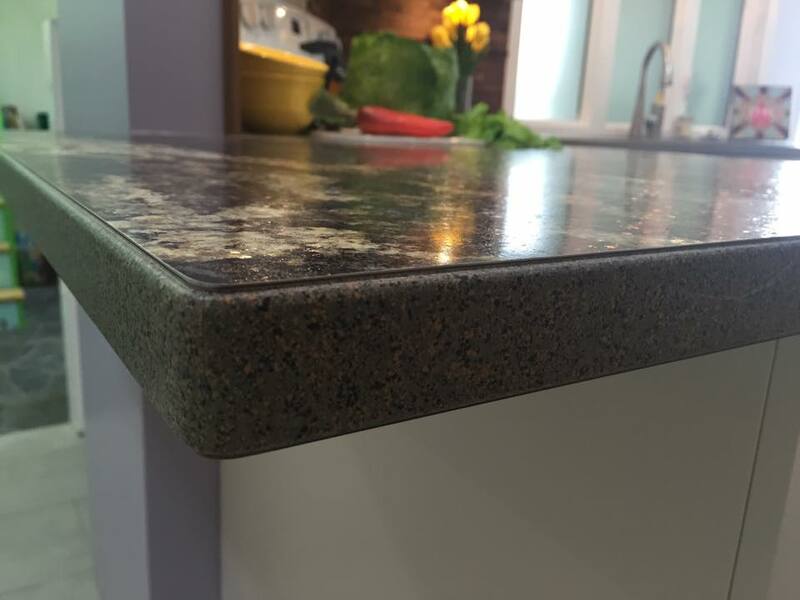 All Avondale Seamless Laminate Counters come with a choice of decorative or commercial style solid surface edge. The colour of the edge is selected by Avondale to best co-ordinate with each laminate colour. Two examples of styles can be seen below.